302 pages | 11 B/W Illus. 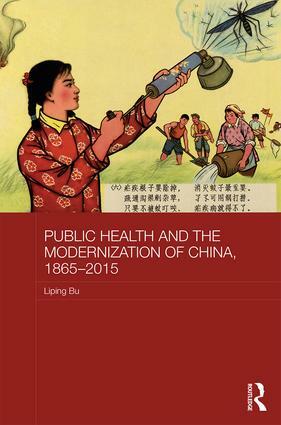 This book, based on extensive original research, traces the development of China’s public health system, showing how advances in public health have been an integral part of China’s rise. It outlines the phenomenal improvements in public health, for example the increase in life expectancy from 38 in 1949 to 73 in 2010; relates developments in public health to prevailing political ideologies; and discusses how the drivers of health improvements were, unlike in the West, modern medical professionals and intellectuals who understood that, whatever the prevailing ideology, China needs to be a strong country. The book explores how public health concepts, policies, programmes, institutions and practices changed and developed through social and political upheavals, war, and famine, and argues that this perspective of China’s development is refreshingly different from China’s development viewed purely in political terms. Liping Bu is a Professor of History at Alma College, Michigan, USA.